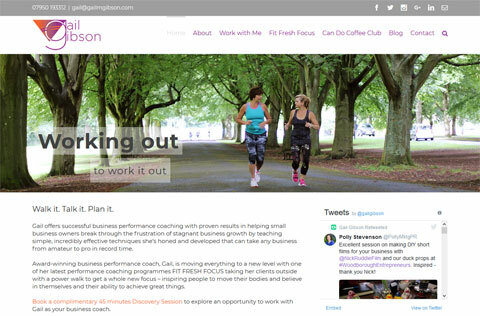 A business coaching website designed for Gail Gibson, based in Wiltshire, UK. Gail required a smart, modern website. Gail chose the WordPress theme and I customised it to look exactly as she wanted it to. This website is updateable in-house. Gail writes her own blog posts and adds content, whilst I cast an eye over the site each month and keep it backed up and secure.